The research group “Endothelial cells, Inflammation and Cancer”, directed by Dr. Jean-Philippe Girard, is awarded one the ten prestigious “Programmes labellisés Fondation ARC”. The “Programmes labellisés Fondation ARC” are aimed to support groundbreaking research into cancer progression and improve the treatment of cancer patients. 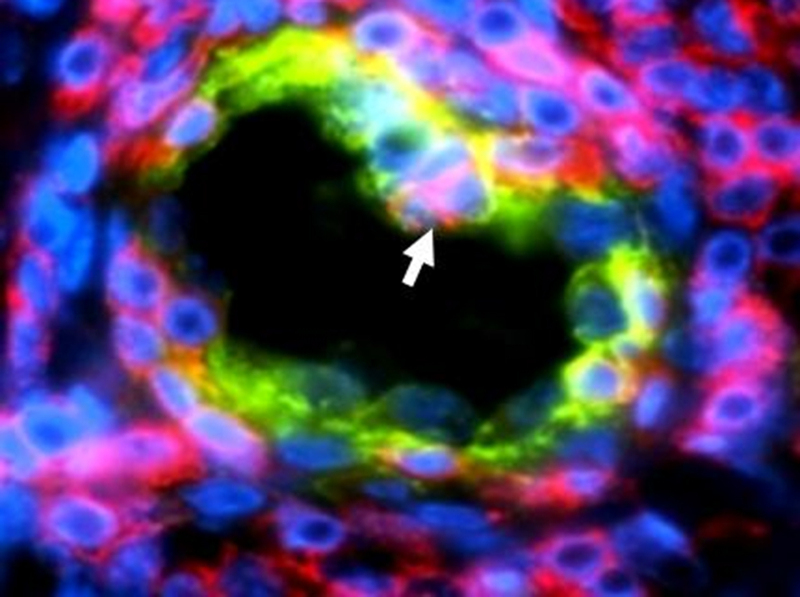 The central tenet of this 3-year project is to understand the role and mechanisms of development of specific vessels, called HEV (high endothelial venules), which are involved in the recruitment of protective cytotoxic lymphocytes into tumors, and to identify molecules able to stimulate the development of these vessels. Another “Programme labellisé Fondation ARC” was obtained in 2016 by the research group “Microenvironment, Cancer and Adipocytes”, headed by Prof. Catherine Muller-Staumont. This program aims at deciphering the role of periprostatic adipose tissue in prostate cancer progression. The strong and continuous support provided by the ARC Foundation to our institute is a recognition of our long-lasting commitment towards developing new therapeutic approaches targeting the tumor microenvironment with the ultimate goal of developing better treatments for cancer.